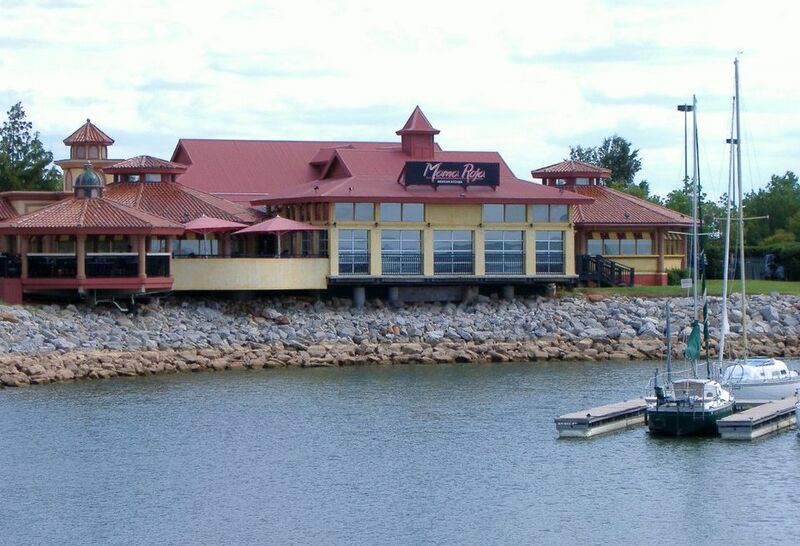 Located with the collection of restaurants on the East Wharf of Lake Hefner, the former location of Bahama Breeze, Mama Roja is a very good choice for Mexican food in Oklahoma City, at non-peak times a comfortable dining experience with capable service and a splendid view, up there with some of the best in the metro. Directions: At the East Wharf of Lake Hefner, just off the Lake Hefner Parkway at Britton Road. Mama Roja, a Mexican restaurant that is part of the Hal Smith Restaurant Group, is not unlike some other establishments along the metro's picturesque northwest lake, including the defunct Bahama Breeze that was once house in the same building. During those peak hours on weekend nights, it's often difficult to get a table without a lengthy wait and occasionally difficult to get the same food and service quality you might get at other times. So that's why I made my way up there late on a weekday afternoon, intent on avoiding the crowds and getting a true picture of what Mama Roja has to offer. What I found was impressive. Seated in the patio room, remodeled from the Bahama Breeze days, I could feel just a hint of the lake breeze, enough for comfort on a warm day but not so much in the semi-enclosed area to bother the meal. I enjoyed the wonderful view as I sampled the salsas, one a warmer tomato variety that had a sweet, almost pizza sauce taste and the other a cool, spicy standard. Also, if you like guacamole, try the tomatillo salsa. After my attentive waiter took my order, I enjoyed a combo platter, and there wasn't an area of the meal that disappointed. Seasoned beef outshined the fajita chicken for me, and I found the refried beans to be flavorful. On subsequent visits, I've quite enjoyed steak and shrimp fajitas, and you simply can't go wrong sitting on the patio and sipping one of the many margarita choices. The Sunday brunch has huevos con chorizo, breakfast burrito and more, and it's available until 2 p.m. Compared to other Mexican restaurants, though, Mama Roja is expensive. With a bowl of queso and a couple of mixed drinks, a total bill for two will go beyond what you'd expect from many casual dining spots. But for such an amazing view and quality food, it's an amount worth paying, at least when the place isn't jam-packed.